Last week I posted pictures of a Calacatta Gold kitchen that we did in a contractor's own home that we work with, Pyne Renovations. If you missed it be sure to check it out here. 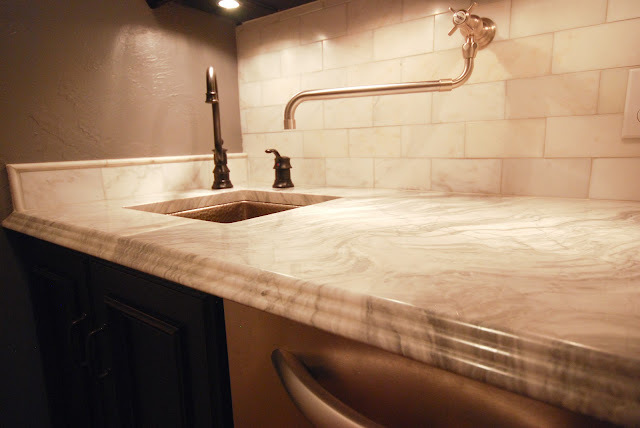 The countertops are Super White quartzite with a Triple Waterfall edge detail. He used the same Calacatta Gold subway tile backsplash that was done in his kitchen and it works perfectly with the Super White as well! 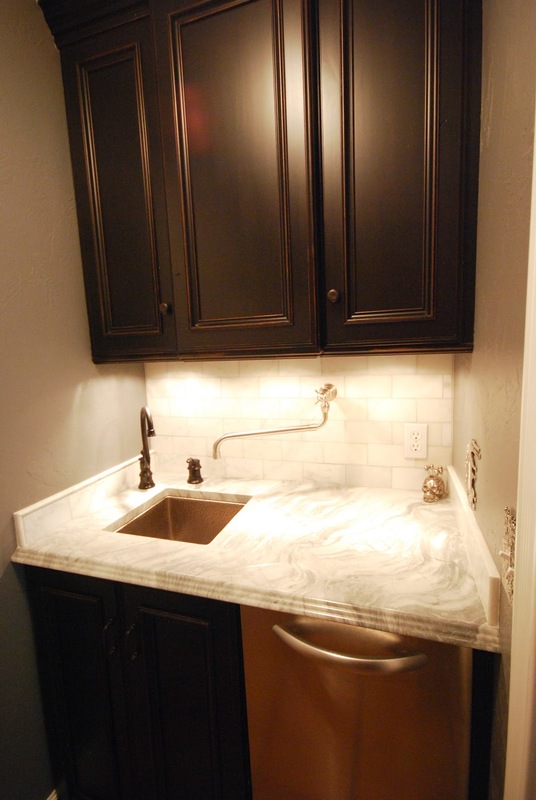 Tomorrow I'll post pictures of the Master Bath, it's gorgeous!